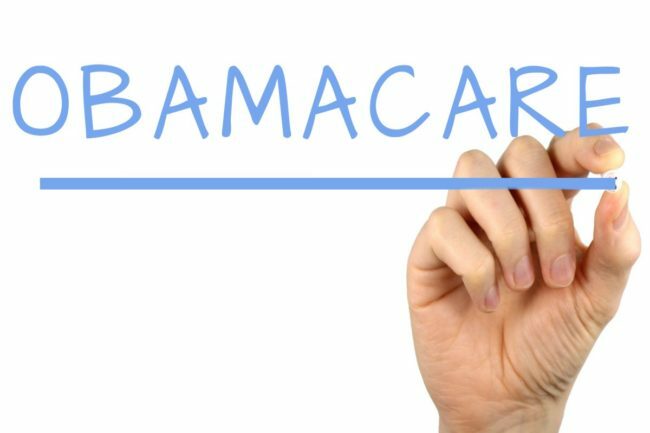 Many large name income tax services have taken it upon themselves to defy President Trump’s Executive Order to dismantle the ObamaCare penalty system. These corporations are slowing efforts to take the teeth out of the failed ObamaCare program. Basically ignoring the law. Big name income tax firms are still making individuals fill out Line 61 on their federal income tax returns asking about their health insurance status. Ensuring you pay the ObamaCare penalties if you were uninsured. Even though you are no longer required to fill out line 61 if you choose not to. Yet the big income tax firms will not process the tax return without it. If you don’t believe this simply call one of the large name income tax services and ask. Possibly you have already been told you must fill out Line 61 on form 1040 there by requiring you to produce form 1095. To show if you had health insurance all 12 months of the year. Paying a large penalty if you were uninsured. Even though the IRS itself says Line 61 does not need to be filled out. Even if your expecting a refund. These firms are in total defiance of President Trump’s Executive Order and the IRS statement on the individual shared responsibility provision. No tax advice is being offered. Simply trying to report on how big corporations are colluding to make millions of Americans pay a penalty they may not have to pay. As well as hampering efforts by the President to take the teeth out of ObamaCare. If perhaps the ObamaCare law doesn’t benefit your family or you were uninsured this information may be of interest. The IRS website it is very clear on leaving Line 61 blank also known as silent returns. The IRS will not reject your tax return if you do not indicate your health insurance status on Line 61. The IRS advises you should still pay any penalty owed under the law even as that law may change. Reserving the right to request more information at a later date by sending you form 1095. Asking you about your health insurance information and assessing the penalty if the law is still in effect. With the Trump executive order signaling the destruction of ObamaCare no one knows if the IRS will follow up in most cases. Even if the law is still around. Read Judge Andrew Napolitono’s review of this Trump executive order. Isn’t it your decision to fill out Line 61 not the big national income tax services? The IRS and the President think so. Not the large income tax firms that handle most of the tax returns. It is your decision to share your health insurance situation. Not the big income tax services that are ignoring the law. How would the IRS have a basis for the penalty if you don’t indicate your health insurance status on Line 61? You must volunteer to pay the tax based on ignorance of the law or coercion. Why are most of the national income tax services not letting income tax returns be processed with the health insurance status Line 61 left blank? Big corporate income tax preparers are still requiring the Obamacare Line 61 and taking the penalty anyway. Making you submit Line 61 or just not processing your tax return. Often not even advising clients of the change. Where as some have saved a lot because of the Trump executive order by filing themselves or using a service that follows the law. What is going on? Perhaps some big income tax services are simply so unsure of the changes to ObamaCare they won’t adjust their policies. In order to cover themselves and their interests. With your money. Unfortunately the big income tax services are not following either directive essentially ignoring the IRS and Trump’s Executive Order. Are large income tax services erring on the side of caution with your money? Most will not let you complete an income tax return on their system as they have not even updated their software to comply with the law. Many preparers agree with the fact the line 61 can be left blank. Most are likely afraid of the returns being flagged for further information with form 1095 at a later date if line 61 is left blank. Creating more paperwork for them and a potential financial hassle for you. More information was always requested under the Obama IRS because you were basically signing up for a witch hunt by leaving Line 61 blank. Making you fill out form 1095 or assessing the penalty. Possibly even conducting audit as revenge. No one knows what the IRS will do now that ObamaCare is on the chopping block. NOT EVEN THE IRS. That was the regular practice during the Obama era because line 61 was mandatory. Now the line is voluntary and you are basically volunteering to pay the tax. If you use a big name income tax service they have already made the choice for you. Shouldn’t it be your decision to fill out Line 61 and share your health insurance information? It is. You could file yourself or with small accountant firm and not volunteer yourself to pay the penalty. Turbo Tax and Drake home version have changed their software in accordance with the law letting you leave line 61 blank. It seems most big income tax services won’t let you do it with them. Not a tax expert and no tax advice is being offered. Just reporting on a subject the mainstream media dropped like a hot potato a week after the January 20th Trump executive order. Good article. Hmm. So, if POTUS nullified line 61 on tax returns and some corporate filing conglomerates are still applying the penalty what is being done with the surplus at the IRS? Is this refunded the following year or does it evaporate like everything else in government?